Should you boldly accept the challenge of the 200hp Lycoming IO-360 A1D6 engine in place of the standard 180 hp O-360 engine? 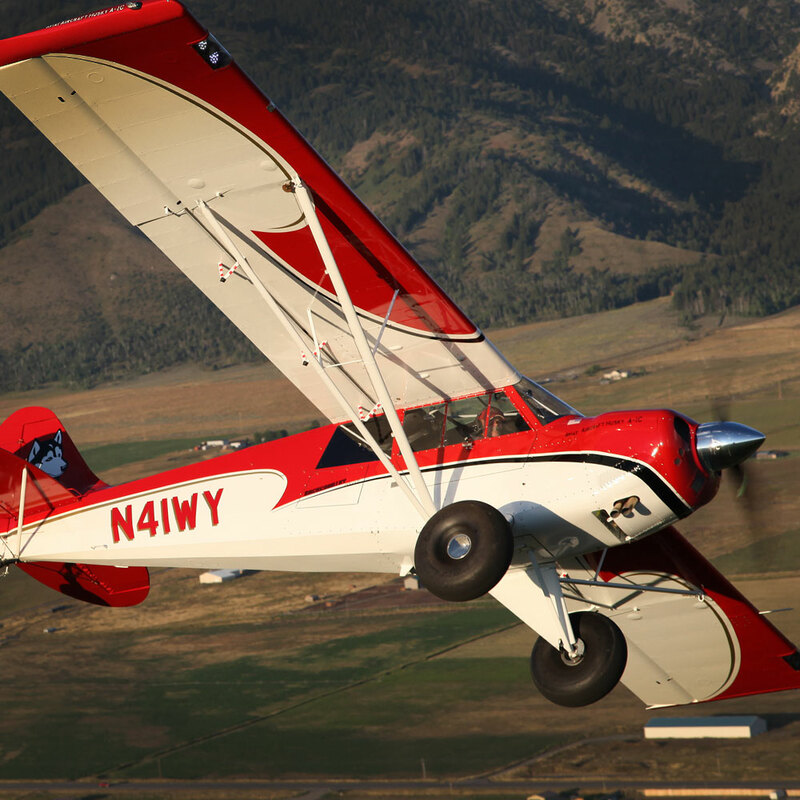 I’ve never met a pilot who thought adding horsepower to an airplane was a bad idea, but the 180-hp Husky already exhibits remarkable takeoff and climb performance. So, is the extra horsepower really worthwhile? Of course, if you like hot rods, the choice would be a no brainer. Both the Lycoming O-360 and the IO-360 are four-cylinder, air-cooled engines. The resemblance doesn’t quite end there, but it’s close. The IO-360 is equipped with a positive-flow fuel injection system that offers much better fuel distribution. Fuel injection also eliminates the requirement for carburetor heat and its associated controls. This IO-360 is an angle valve engine, as opposed to the parallel valve O-360. All of the most powerful six-cylinder Lycomings use the angle valve arrangement and the same free flowing induction as the IO-360 for better combustion chamber efficiency. Finally, the IO-360 used in the Husky is equipped with a mass-balanced crankshaft. As a consequence, it is as smooth an engine as you’ll find (much smoother than its O-360 cousin). The IO-360 weighs some 23 pounds more than an O-360, due largely to the mass balancers. 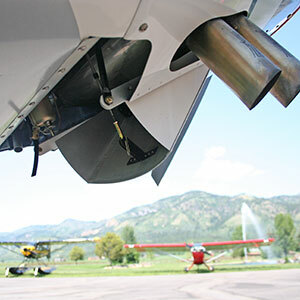 The 80″ Hartzell Constant Speed propeller comes standard. Also available with this engine package, is the 205cm MT propeller, which is close to 20 pounds lighter than a metal prop. The lighter prop makes the basic weight of the 200-hp powerplant package nearly unchanged from a 180-hp model with a metal prop. The 200-hp installation includes a second oil cooler and a cowl flap to better manage engine temperatures. 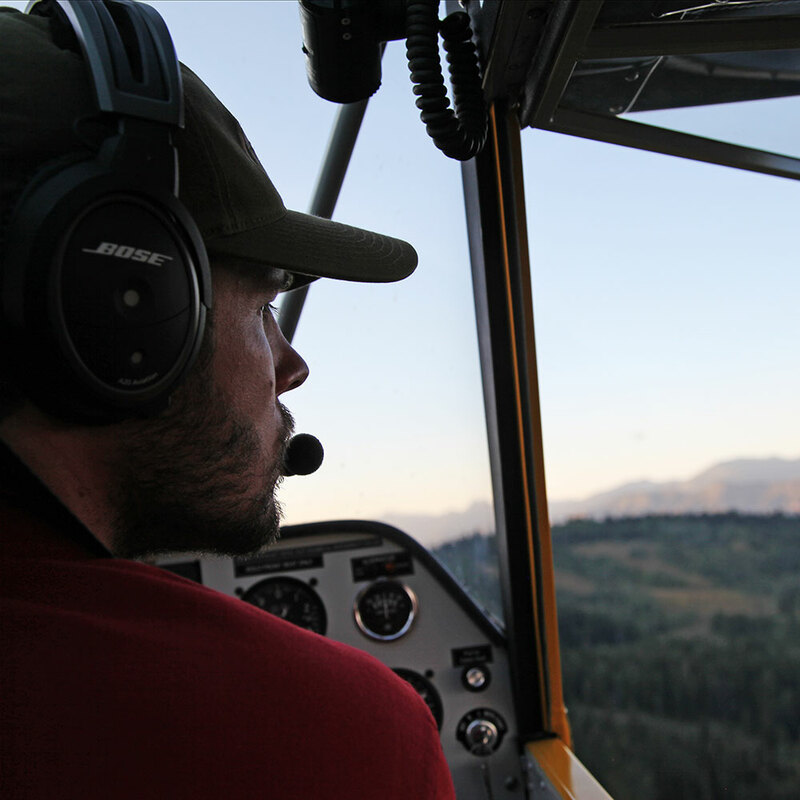 Experienced Husky pilots will applaud these changes, since Husky engine temperatures often run very cool in cold weather, and a bit warm in hot and high density altitude conditions. 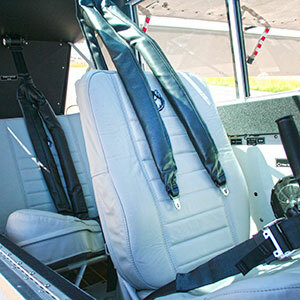 The switch to an angle valve engine, the addition of the cowl flap, and other modifications wouldn’t fit in a standard Husky cowling, so Aviat designed a new cowling. This will be the airplane spotter’s first clue that this isn’t your standard Husky. 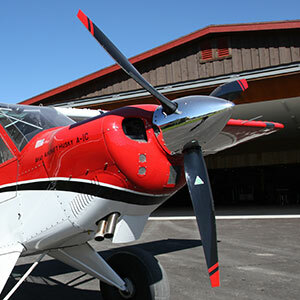 Observers familiar with the full line of Aviat products will recognize the muscular shape of the new cowling as reminiscent of the cowlings on the 200-hp Pitts S-1 airplanes, which coincidentally are also Aviat Products. 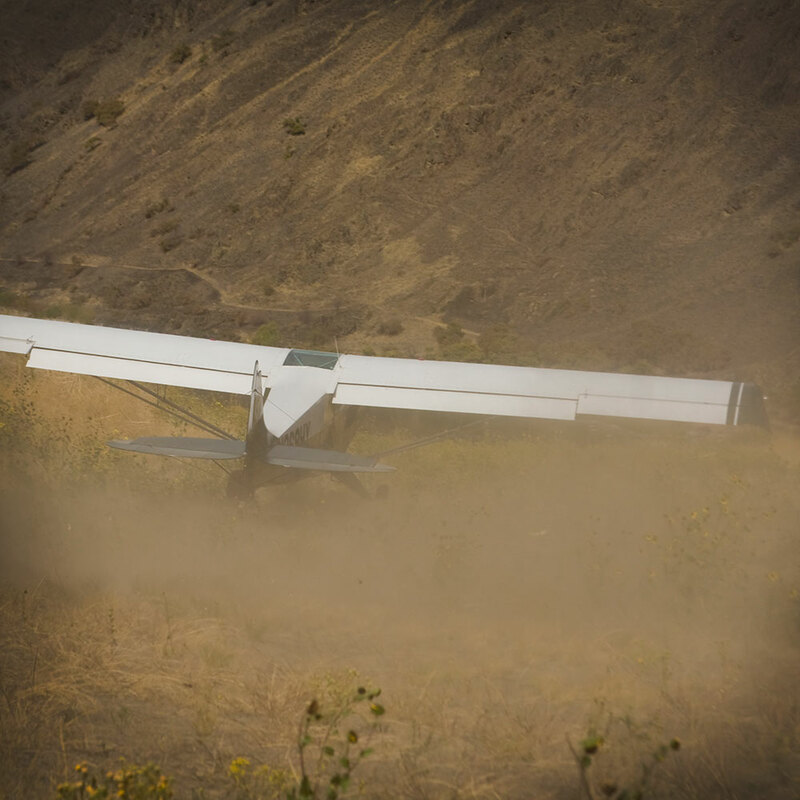 *Performance varies based on pilot experience, aircraft weight, runway and atmospheric conditions. For those who want even more of what they really bought their Husky for: the A-1C-200 expands the performance envelope. The extra horsepower in the Lycoming Engine allows it to get off quicker, climb faster and provide slightly higher cruise settings. It’s the ultimate enhancement package for more performance, better STOL. 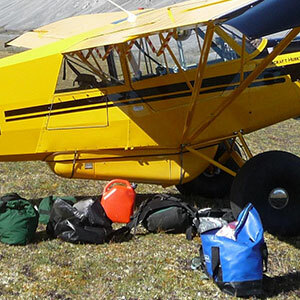 Your Husky A-1C-200 Aircraft is delivered with the following standard equipment: Lycoming 200 HP fuel injected engine, 80” Hartzell constant speed propeller, fuel pump, dual exhaust muffler, dual oil coolers, aluminum bump cowl doors, cowl flap which excludes the need for the cooling lip, B & C oil filter and 8.50×6 tires. Mass and aerodynamically balanced ailerons, extended flaps and new flap control system. Complete 14 volt electrical system, full night lighting system including dual taxi and landing lights, dual wing tip anti collision strobe lights, instrument and interior lights, VFR instruments including altimeter, airspeed indicator, manifold pressure and magnetic compass. Electronic gauges: digital tachometer, oil temperature, oil pressure and digital CHT/EGT. Polished hub caps, Alaskan Bushwheel tail wheel, float fittings, lift rings, front seat inertia reel with 5 point harness, push to talk switches on throttles, ELT, water traps for pitot and static systems, Oregon Aero special seat cushions and 3 color choice standard paint scheme.